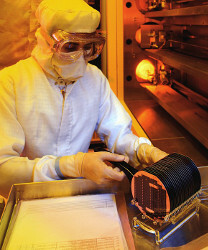 For more than 15 years, CISSOID has supported its customers in the manufacturing of high temperature and high reliability hybrid modules with the delivery of most of its products as bare die. All these products have been designed and qualified for operation between -55°C and 225°C. 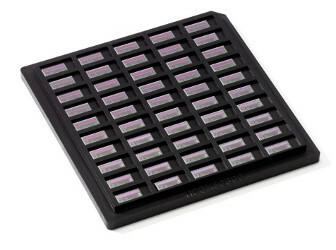 CISSOID's bare die products are delivered in waffle packs with relatively low MOQ, offering procurement flexibility during the design phase or for low volume applications, with no requirement to buy a complete wafer. Bare die products are processed according to the highest quality standards from wafer manufacturing to customer delivery, including wafer thinning, wafer probing, wafer sawing, die handling, visual inspection and storage. CISSOID and its suppliers are ISO 9001. All bare die products are visually inspected according to MIL-STD 883 (Method 2010) standard. Wafers and bare die products are stored in Nitrogen cabinets. Bare die products are delivered with complete traceability including date codes and lot numbers. All bare die products are RoHS. For each bare die product, a die map document including die dimensions, die finish, location and description of the bonding pads is available. To request these documents or to order bare die products, please, address your inquiry to our sales channel.